The perfect gift to let a friend know how much they are missed! 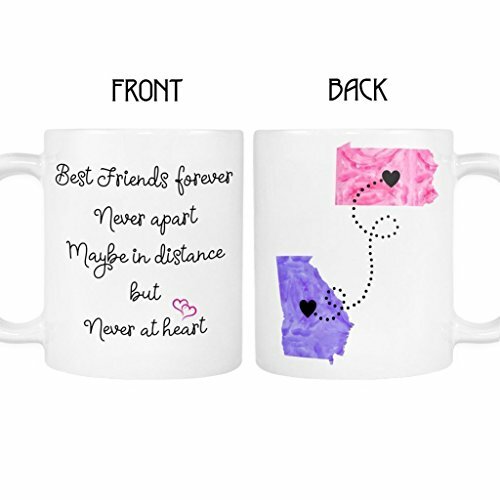 Personalize the mug with the states, country or province of your choice and choose from the available color options listed. We place the silhouettes as geographically as we can in the space available with a bit of artistic liberty. The beginning of this quote, "Best Friends," can also be changed under "options" when ordering. Designed and created in our family run studio in Texas. If you have any questions about this product by Cupology, contact us by completing and submitting the form below. If you are looking for a specif part number, please include it with your message.